Starting with the Agat, a 1984 Apple ][+ clone, moving through several other mass-market and semi-mass-market models, including the gorgeously named Robotron, which was mostly produced in the GDR, and the hobbyist Radio-86RK (an 8-bit computer you assembled yourself, a bit like the Altair) and my favorite, the Apogei BK-01 which was as orange as a very, very orange thing. The Robotron was a computer engineering development that the USSR presented to Europe. The computer itself was developed at a research institute outside Moscow, and production was transferred to the German Democratic Republic. In 1984, production began of the Robotron 1715. It had no sound or mouse port, but featured two built-in drives. 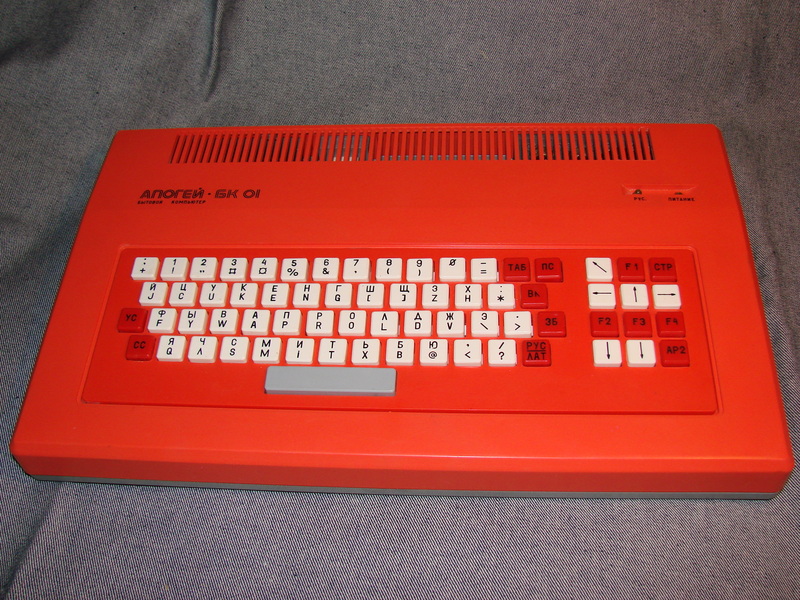 The Radio-86RK was a homemade 8-bit personal computer designed to be assembled by ham radio operators (hence the letters RK, which in Russian stand for "radio computer"). The computer spec was first published in a series of articles in the magazine Radio in 1986. It was not produced commercially. The computer could be assembled at home from "improvised materials." Instead of a monitor, the computer used a household TV connected via the video input. The Apogei BK-01 was developed on the basis of the Radio 86RK, and produced from 1988. For storage, it used a compact cassette or diskette. Technically, nothing of note stood out, but due to improvements in the assembly process the price was significantly reduced. It could be had for 440 rubles - two average monthly salaries at that time.